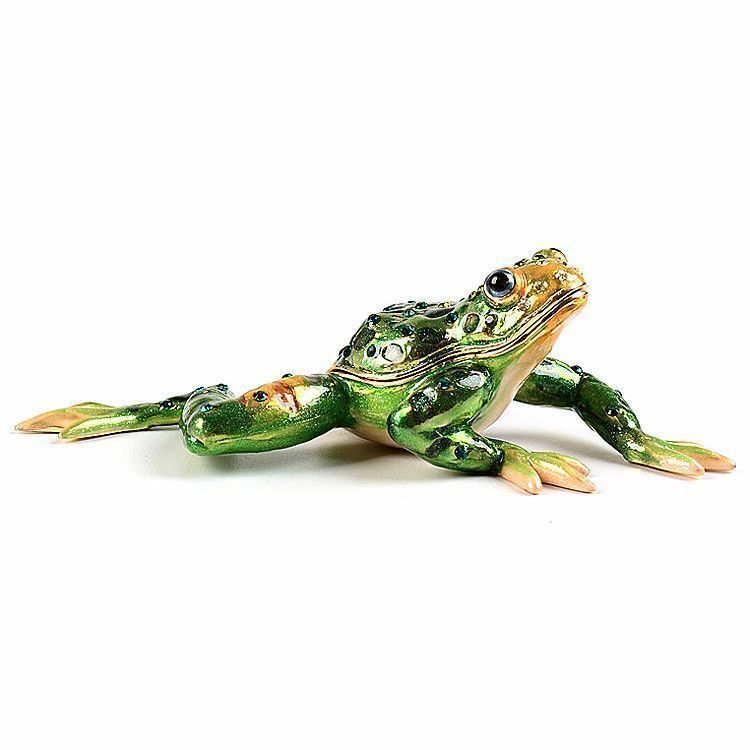 This frog stretches out to about 4 1/2" long. 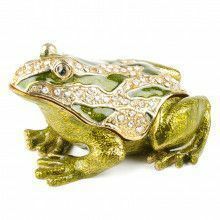 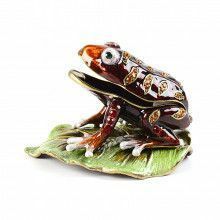 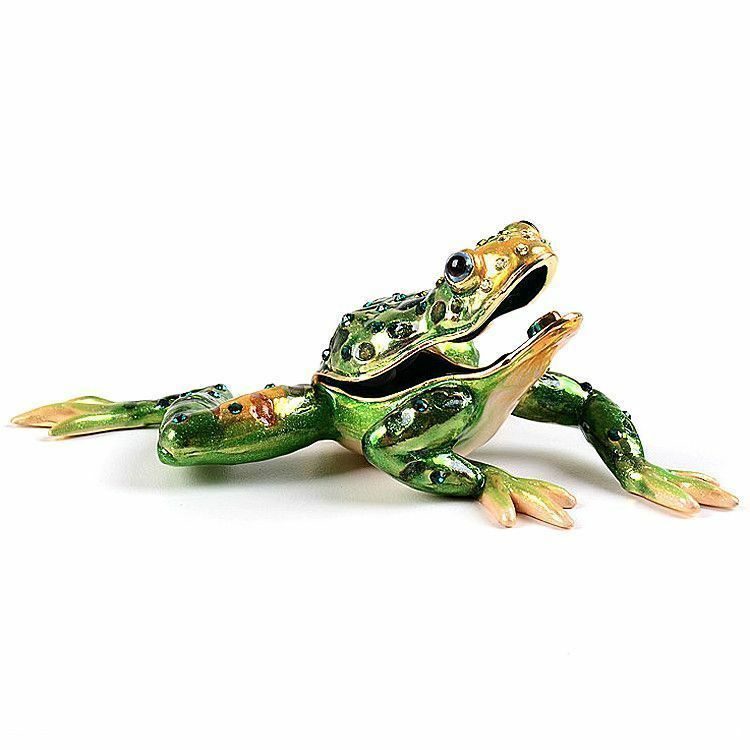 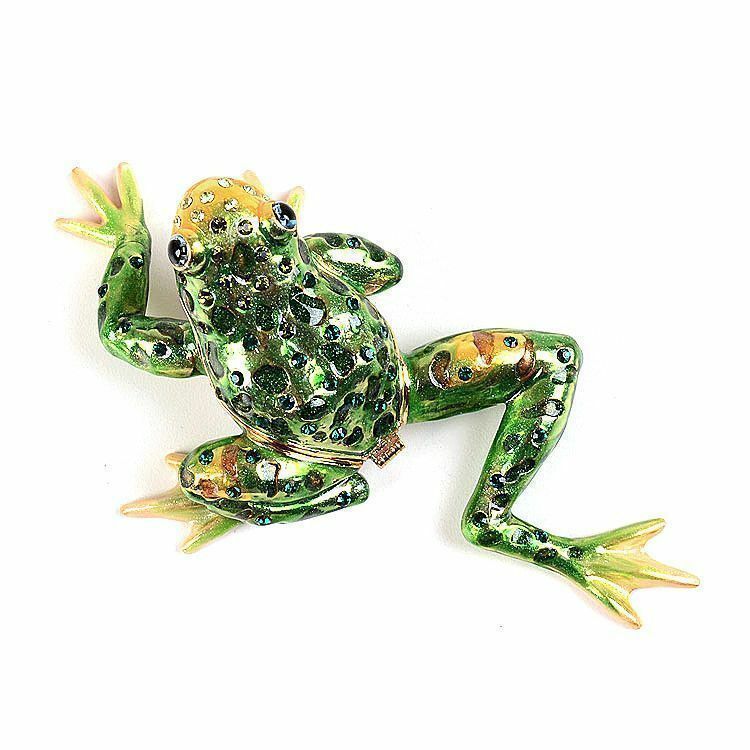 The textured and crystal-studded frog opens up to reveal a convenient area to store jewelry or other small items. 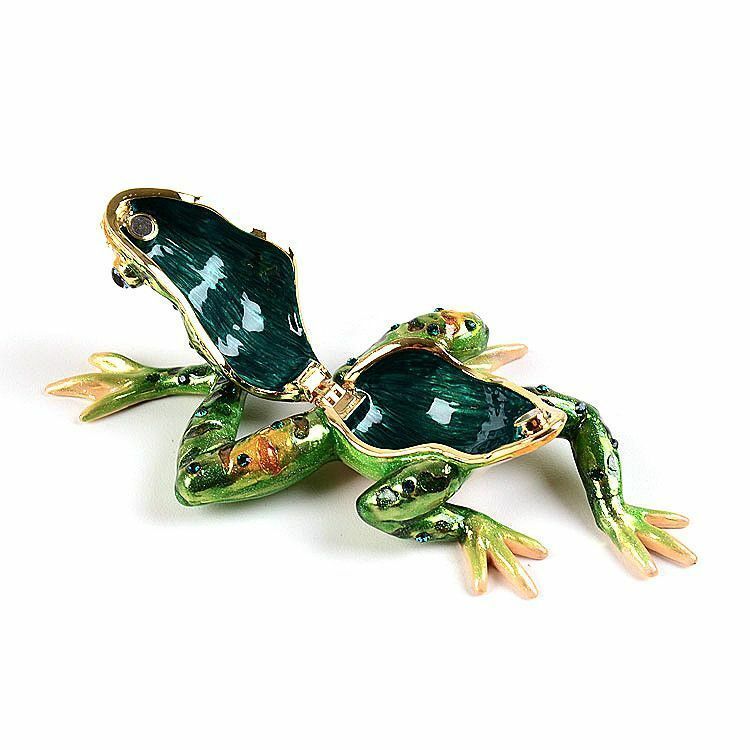 The interior is a blue-green hue that matches many of the Austrian crystals seen on the outside. 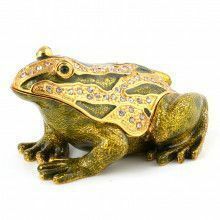 This well-made trinket box has been gold plated and fixed with a hinge and magnet.